William H. Harrison was the last president elected to office that was not a naturally born American citizen. He was born in 1773, at Berkeley Plantation along the James River, not far from capital of Virginia, Williamsburg. But, at the time of his birth, the United States had not yet been formed and so there was no state of Virginia, it was still just a colony. His father, Benjamin Harrison V signed the Declaration of Independence when William was just 3 years old. By all standards of the time, the Harrison's were wealthy and privileged and deeply patriotic. He studied classics and history at Hampden-Sydney College, then began studying medicine in Richmond. However, being the youngest son, there was little hope of him ever receiving any of his father's inheritance. 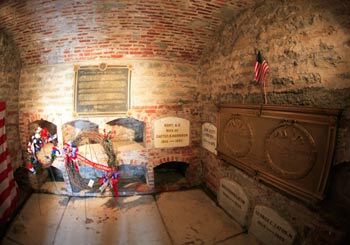 Instead, William, at the age of 18, and possibly on the recommendation of George Washington, gave up his brief stint studying to become a doctor and took a commission as ensign in the First Infantry of the Regular Army. This enlistment led him west into the northwestern frontier that would in time become Ohio. He was stationed at Fort Washington located in what would become Cincinnati. During his time in the Army, William learned he could lead men in difficult situations. Throughout the War of 1812 Harrison won more military laurels when he was given command of the Army in the Northwest with the rank of Brigadier General. During the War, Harrison spent a good bit of time in Franklinton, organizing and recruiting troops. 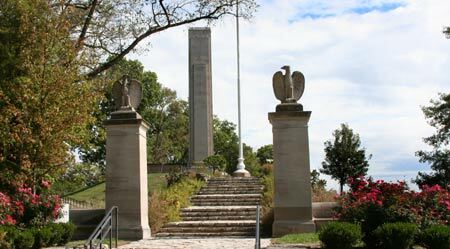 He sent an expedition north to build a fort along the Maumee River which was name Fort Meigs where he successfully defended it against British and Native American forces. After this siege, he moved his army north in a combined military and naval attack against the British. Commodore Perry defeated the British naval ships on the southern end of Lake Erie, thus cutting off supplies and reinforcements to the British. At the same time, Harrison attacked the British at the Battle of the Thames, north of Lake Erie, on October 5, 1813. Harrison defeated the combined British and Indian forces in the area. During this battle Chief Tecumseh was killed. With the death of their leader, the Indians scattered, never again to offer serious resistance in what was then called the Northwest. After the War of 1812, Harrison retired from the military as a Major General and returned to Ohio where he served as a congressman, state senator and a U.S. Senator. In 1836 he ran unsuccessfully for President. In 1839, the Whig party was looking for a candidate who could beat the incumbent President Van Buren. They held their convention in late 1839, months before the usual time for nomination proceedings. 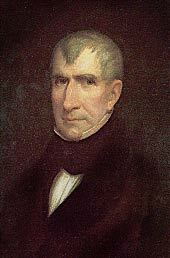 William Henry Harrison was nominated as the Whig party candidate. Harrison was a southern born war hero, seemed to make a perfect foil to use against the incumbent Democrat. Plus, Harrison's running mate, John Tyler, was from Virginia, the core state of Van Buren's Democrat Party.